At Inglés Málaga we believe in continuous improvement and life-long learning. We know that we don´t know everything, and we consider our clients to be the most knowledgeable and effective source of information and intelligence. So, with this in mind, how can we, at Inglés Málaga, help you to improve your English language skills in order to achieve your personal and professional goals? What do you want, what do you need? 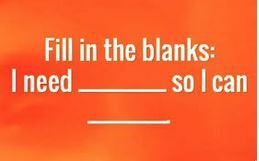 Fill in the blanks, and let us know. Posted on Dec 12, 2017 Dec 9, 2017 by Inglés MálagaPosted in Ingles Malaga, ReadingTagged b1, b2, c1, Cambridge, cursos ingles malaga, EOI.